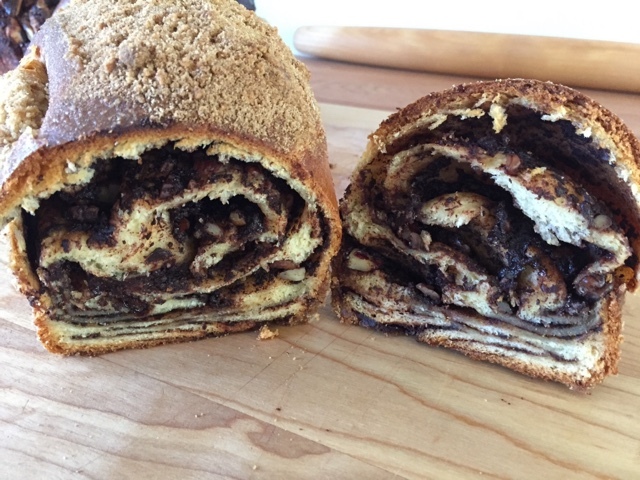 Well, I have another babka trial under my belt, and I have to say I'm excited about moving on to other baking adventures. I've learned a lot but feel there are still more practice sessions in my distant future before getting this down to a tried and true comfortable process. If at first you don't succeed, try, try again - so true! 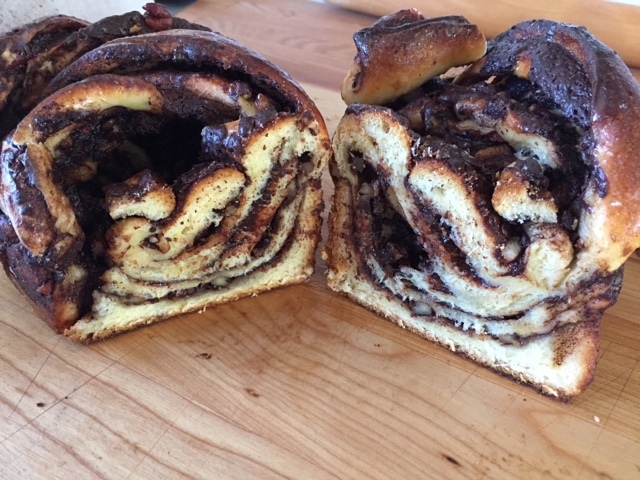 Granted, I used several different dough recipes in my various trials, so I can't say this is a purely scientific study with all variables constant. What I did accomplish was gaining a general understanding of how the process should go. Here are just a few tidbits that I gleaned from my experience. 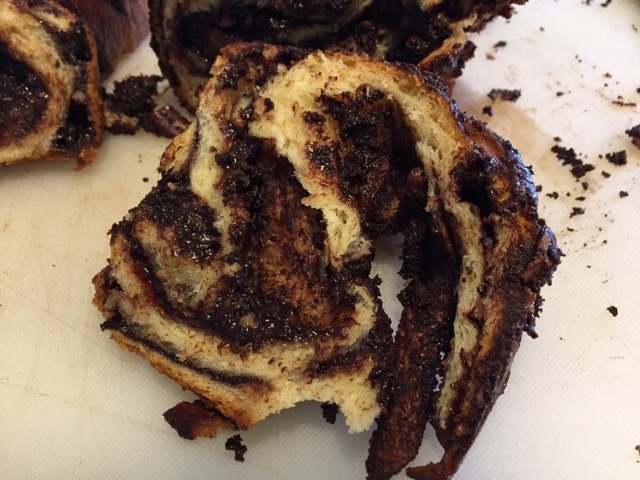 I found that the dough for babka can be a standard sweet dough (as one might use for cinnamon rolls), a laminated dough or a brioche-like dough. As they say, there's more than one way to skin a cat! 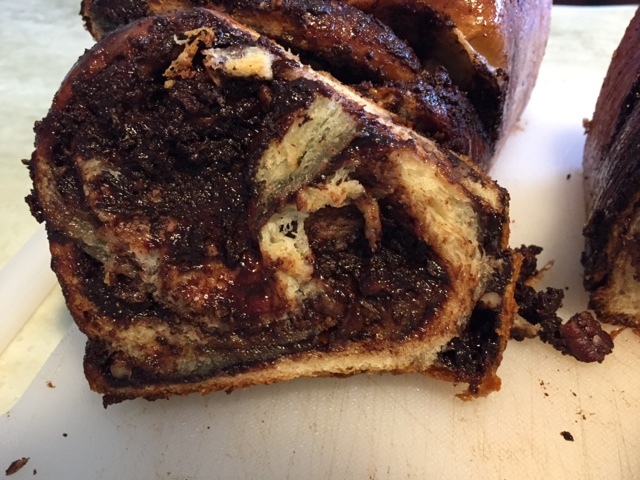 I discovered that the chocolate filling (if that's the version you're making) should be made ahead so there is time for the melted chocolate/butter with added cocoa powder and sugar mixture to cool to a room temperature spreadable paste. 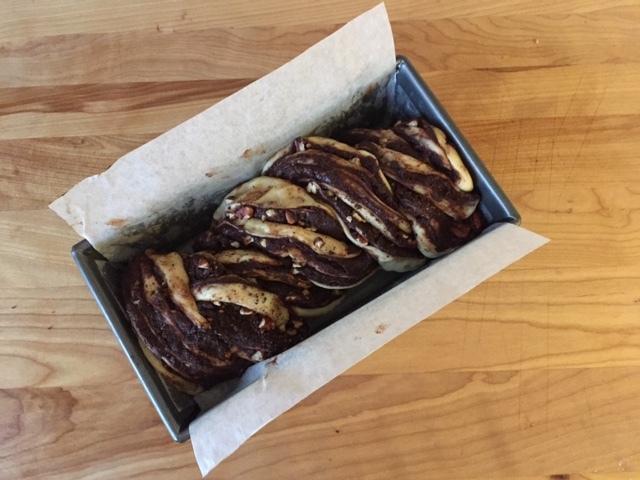 I learned that there are many ways to shape babka - the length-wise sliced log plaited and tucked into a loaf pan or baked free form, a fat snake-like coiled log that sits in the pan perpendicular to the counter rather than lying flat or a log placed circularly around a tube or Bundt pan. 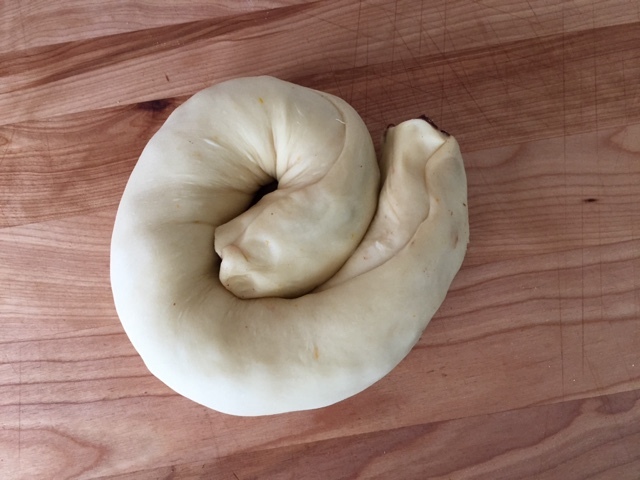 What I'm still working on grasping is how loosely or snugly to twist the plaits, the best way to fit them into the loaf pan, how long to let the loaf rise and how long to bake (it's very difficult to determine when the center is fully baked). 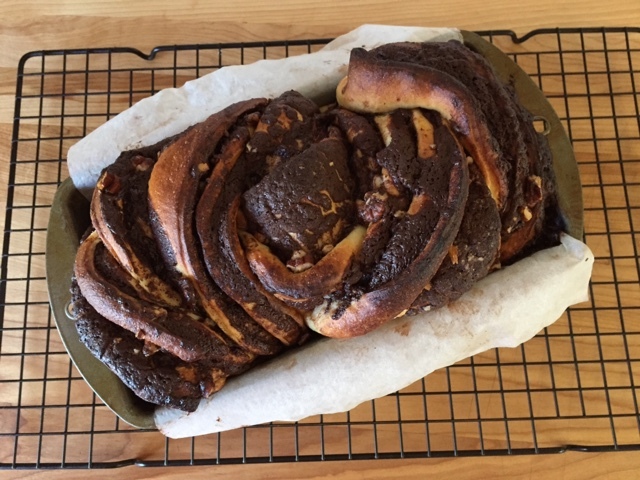 For this my third and last trial I used Yotam Ottolenghi's brioche like dough. 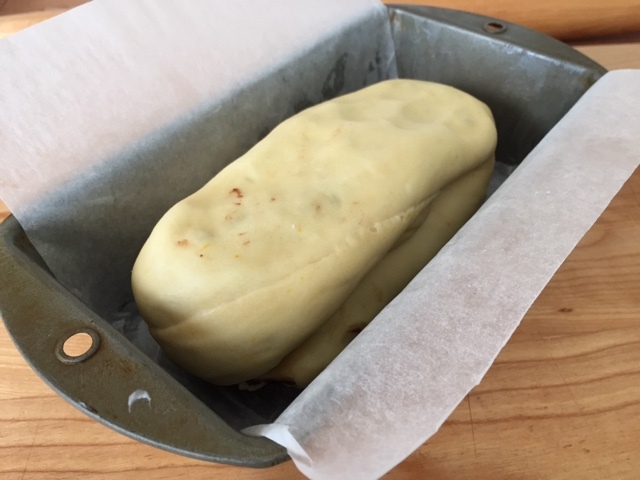 I baked two loaves, one the classic plait which I placed into the pan like an "S" to try and give the dough enough room to rise and not be too squished in. 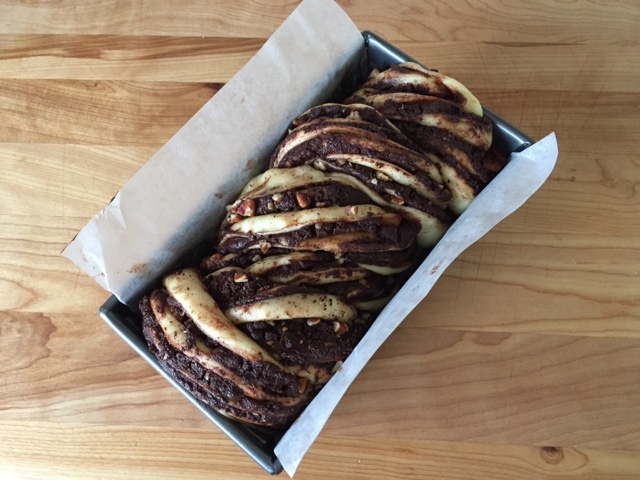 For the second loaf I went with Peter Reinhart's option of twisting the log a bit, then coiling it up like a snail. 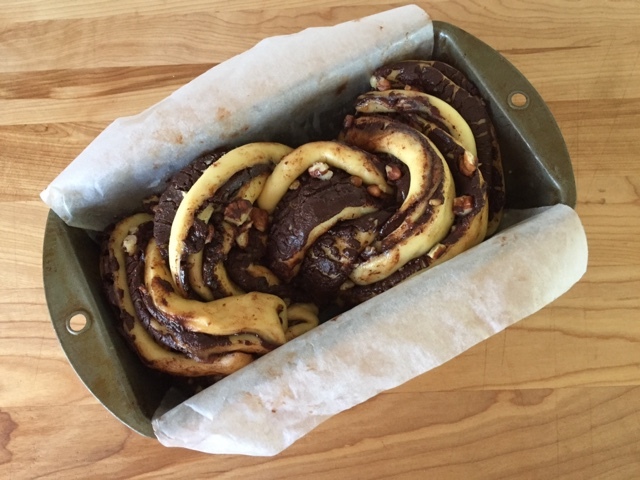 Then the snail goes into the pan straight up, not with the coil flat. Kind of looks like a big old cow's tongue! 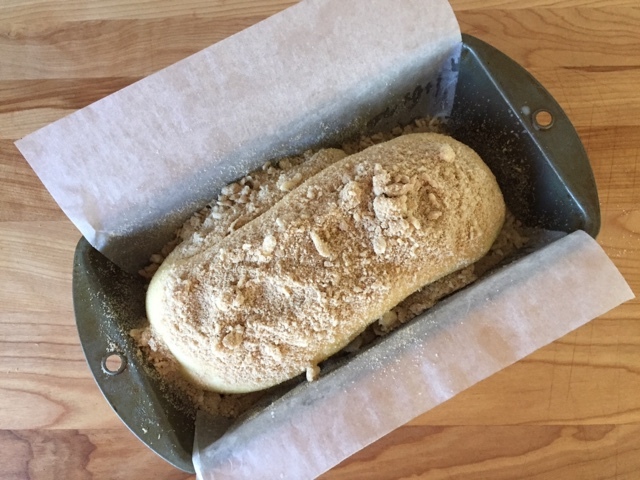 This version gets egg wash and a streusel topping before going into the oven. 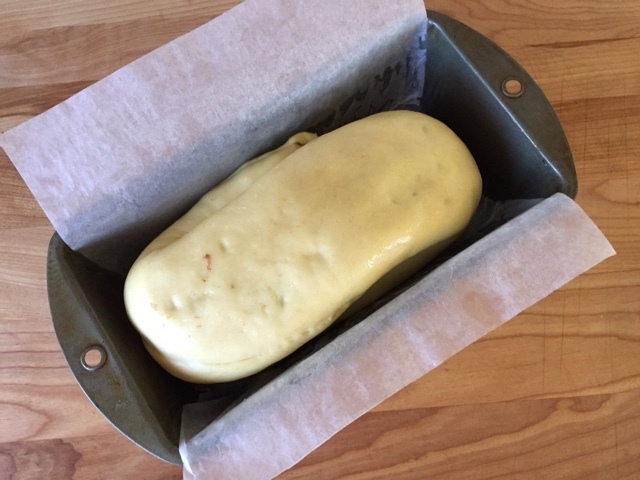 Reinhart's instructions have you press the coil down to compress it into a loaf, but I didn't want to press down too hard, thinking the rise of the dough layers would be impaired. I gave both of these loaves a three hour warmish rise since I wasn't certain my previous rises were long enough. 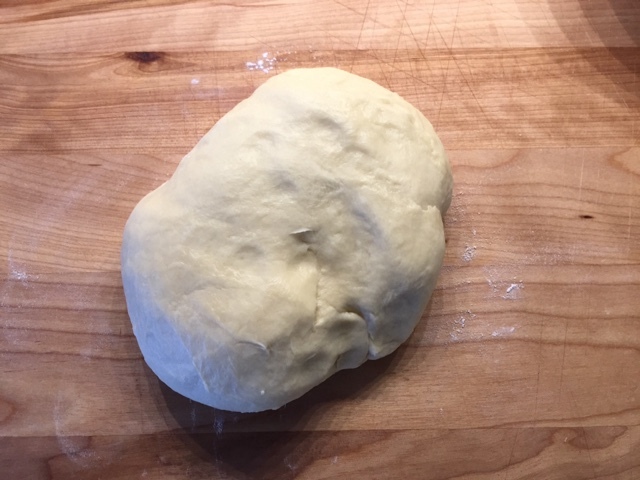 Perhaps it makes a difference which type of dough one is using too. Interestingly, of the many recipes I reviewed the recommended rising times (in a "warm" place) varied from 1-1.5 hours up to 3 hours. 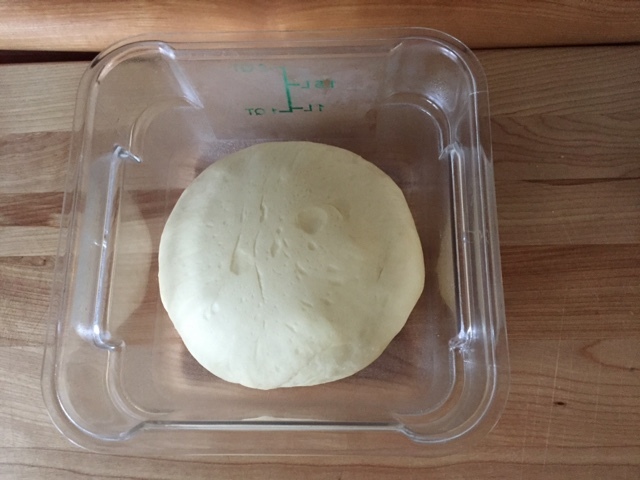 Some stated the dough wouldn't rise more than 10-20% and some wanted the dough to puff up and fill the pan. 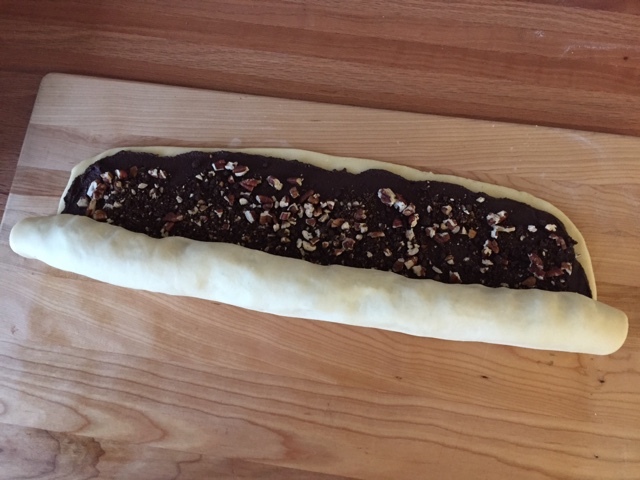 I thought my plaited loaf became appropriately puffy, at least according to the 10-20% rise benchmark. 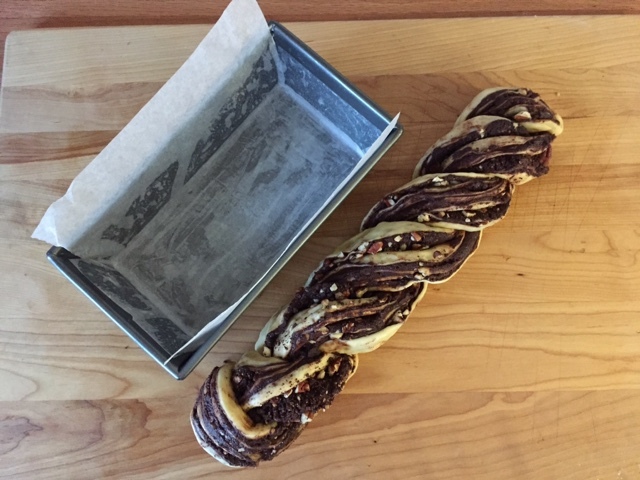 I had my doubts about the snail coil, but it seemed to have reached that 10-20% goal too, even though it was not filling the pan. 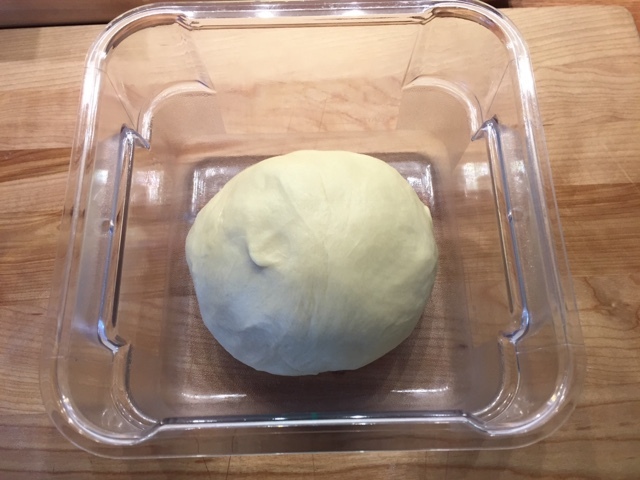 I suspect the rise I saw this time around had to do with the brioche type dough I used. 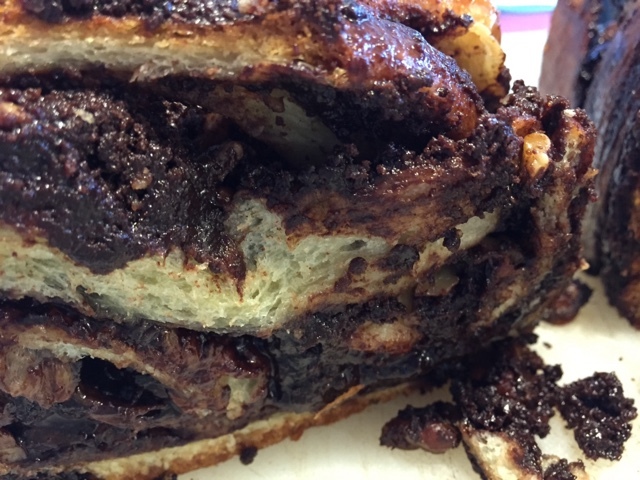 The snail coil received its wash and streusel. 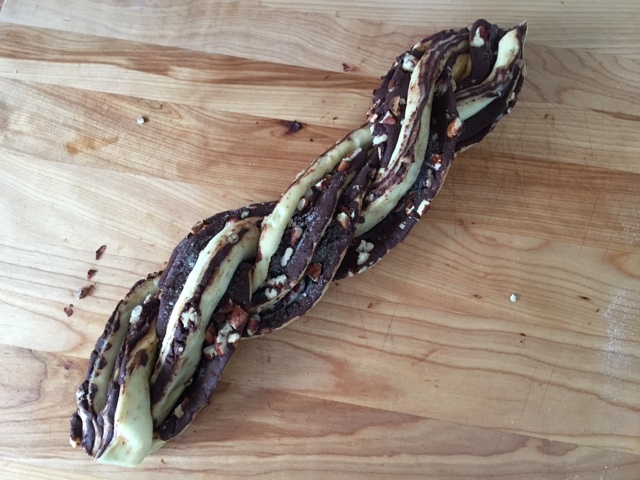 I baked the plait for 45-50 minutes at 350º convection. 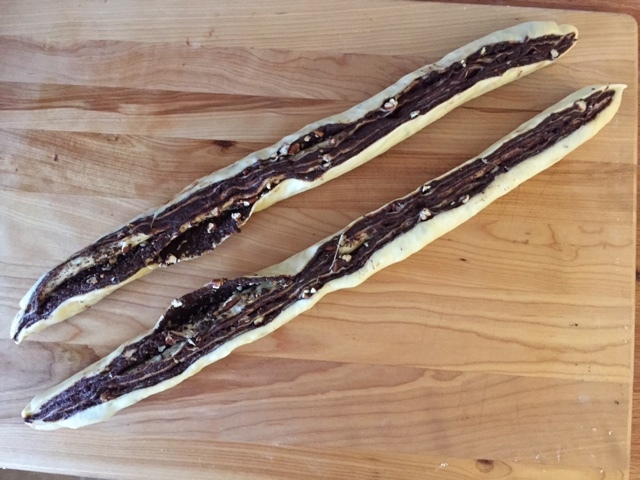 I attempted to check an internal dough temperature which reached over 185º but couldn't be sure if my temperature probe was in dough or chocolate. 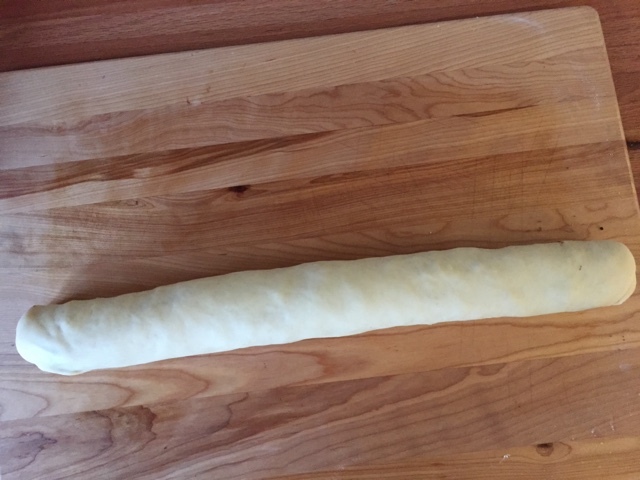 When tapping the dough on the surface, it had a nice thump, and my inserted skewer came out clean. Out of the oven it came. 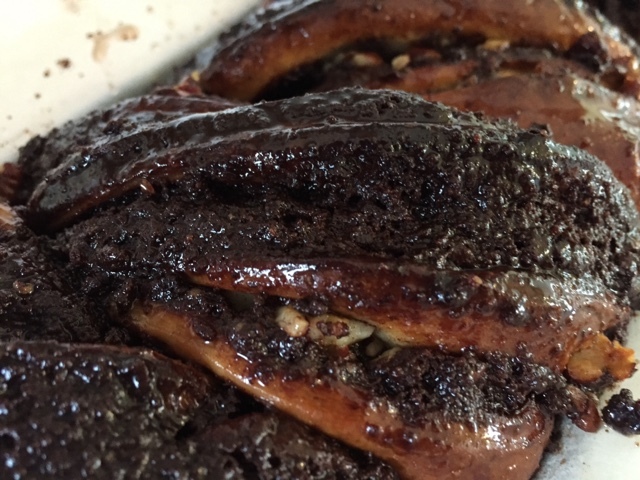 I baked the snail for the same amount of time and took it out after a resounding thump was heard when tapping the top and a 185º internal temperature was reached. 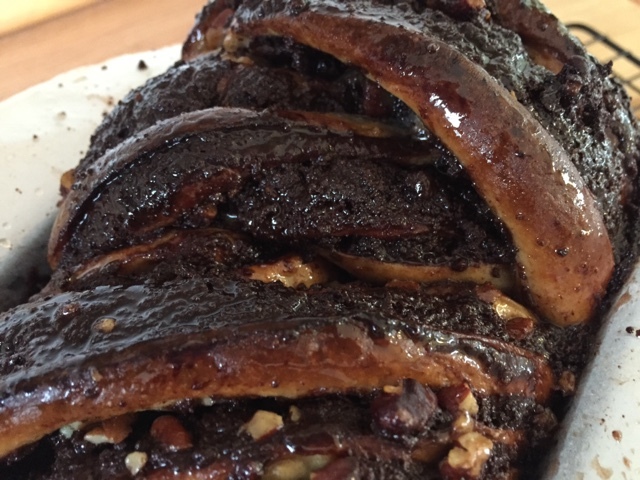 After a good cooling it was time for slicing. Not bad! 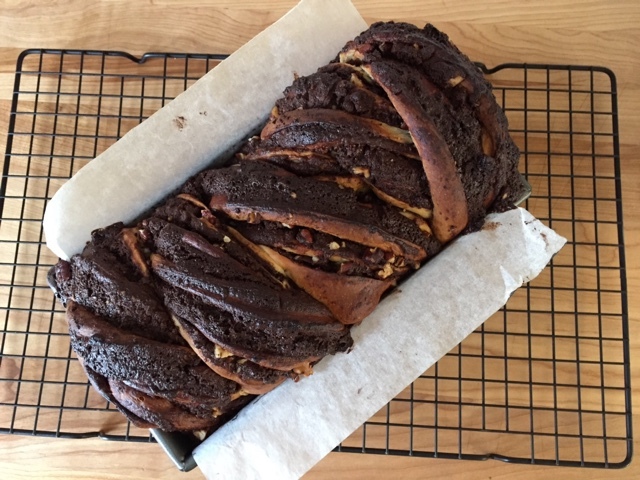 In spite of some chocolate gaps and a bit of doughy-ness in the bottom layers, this was delicious!! 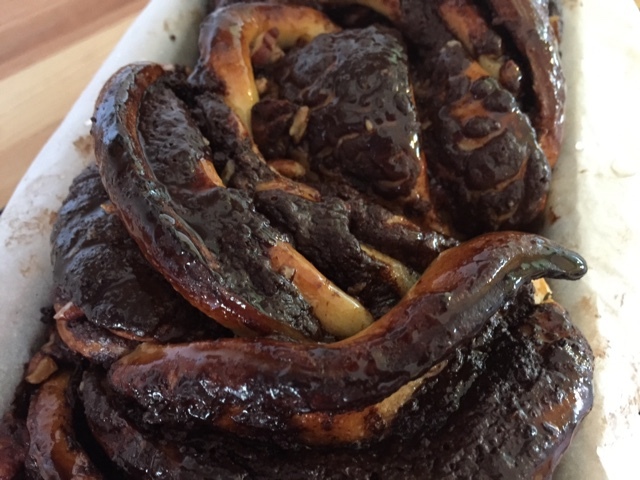 Funny that even when the bake wasn't all that great, all of my attempts were tasty, tasty, tasty. 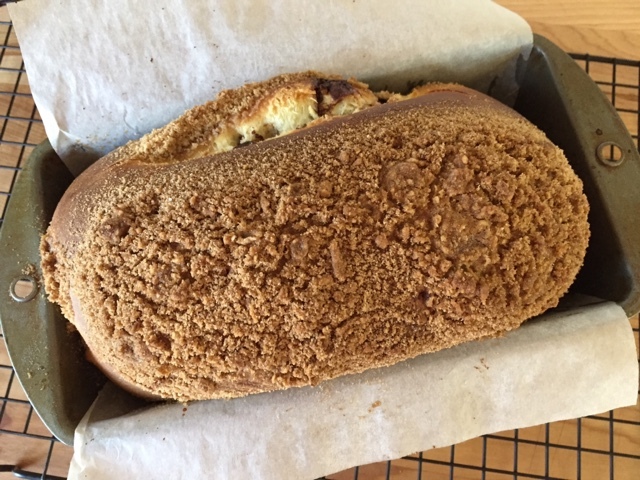 The streusel snail loaf had a big hollow pocket under the surface and the bottom thinner layers were under baked. But again, joy of all joys - DELICIOUS! While Steve enjoyed the fruits of my labor, he wondered why I spent so much time on this project. I say "why not?!". It's a challenge and fun to boot. What's next? I just started reading Alice Medrich's book "Flavor Flours" and am intrigued with learning and experimenting with the different non-wheat flours out there. So much to do. 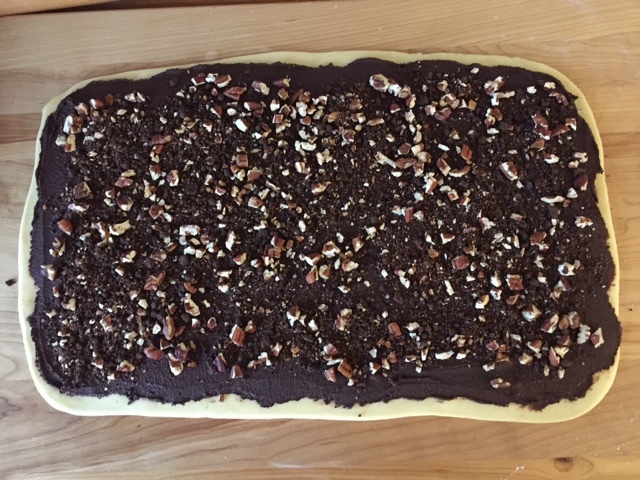 But before that I have to decide what to bake for Easter dessert. Oh boy!